A bit over a month ago I reviewed the original version here so naturally I felt obliged to review the much-publicized remix (we all saw the hashtags and what not). 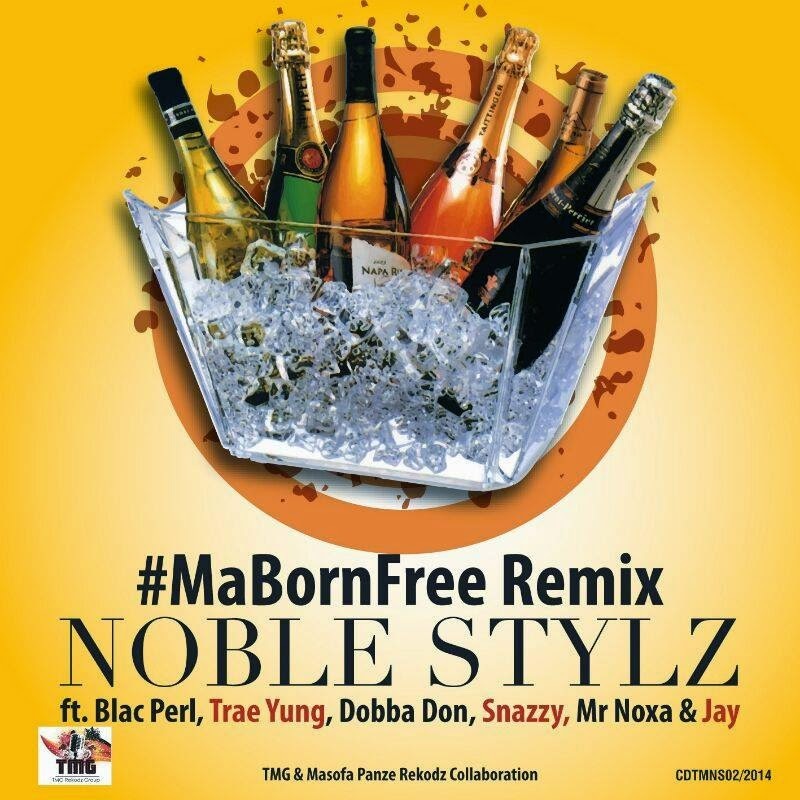 First verse kicks off with the Masofa Panze duo Noble Stylz and BlacPerl trading bars. The 2 bar for bar is a dope concept and gets you thinking, "Yaa zvazvinhu" but I feel it would have sounded even better if Trae and 'Perl had done that, vocal-wise. The now familiar hook sets in marking the end of Round 1. So far, so good. Verse 2 with "your girl Trae Yung" (see what I did there? Lol) commences to continue the Born Free party as she lays some hard bars that actually sound better than the original, successfully defending her title. Dabs to the Queen of the game. Dobba Don comes in to add a Dancehall spin to things. After this the track turns into a freestyle of sorts that I hoped would end sooner rather than later. I'm guessing all in attendance had to be on the track. Snazza and Mr. Noxxa weren't exactly blending in on this track, making this my least favourite part. Maybe I'll get used to it, an acquired taste maybe? Jay Mashaire comes in to conclude the track with a refreshing R-n-B namedropping Noble's other track, Super Sub . Check out the dope visuals for the video below and the download link below that.